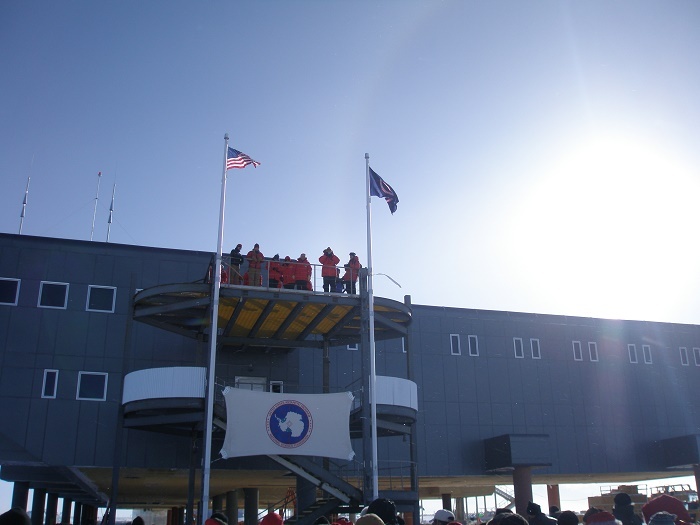 The Amundsen–Scott South Pole Station is known as the southernmost place on our planet, where the United States scientific research station at the South Pole is located. 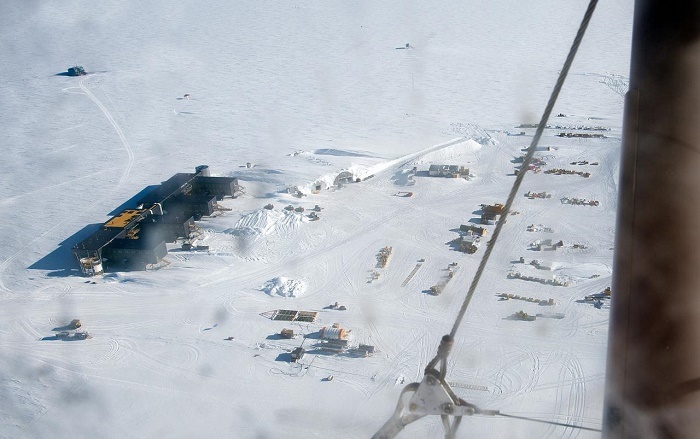 Standing at an elevation of about 2,835 meters (9,301 feet) above sea level, it was built for the first time in November 1956 by the United States Naval Construction Battalions, better known as Seabees, with the purpose of scientific researches of the polar regions of the Earth. 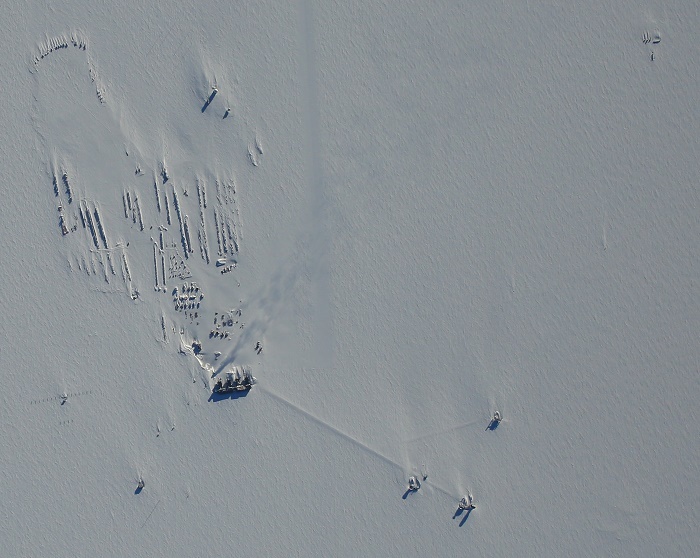 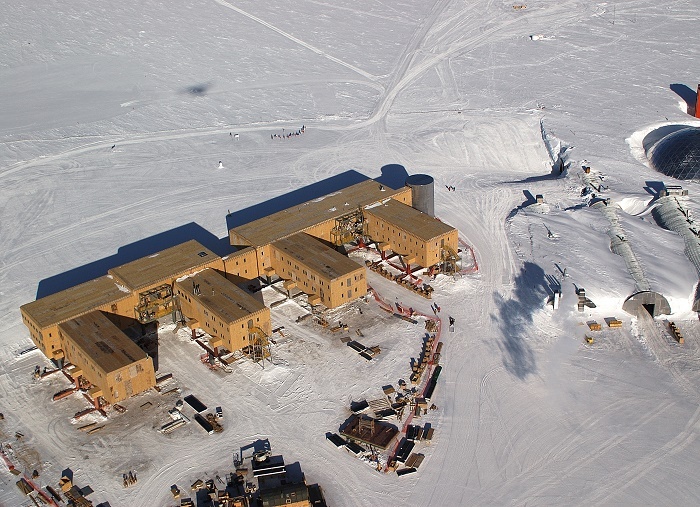 What once was the old station, nowadays is referred to as Old Pole, it was assembled from prefabricated components delivered to the South Pole by air and airdropped, and originally built on the surface, with covered wood-framed walkways connecting the buildings. 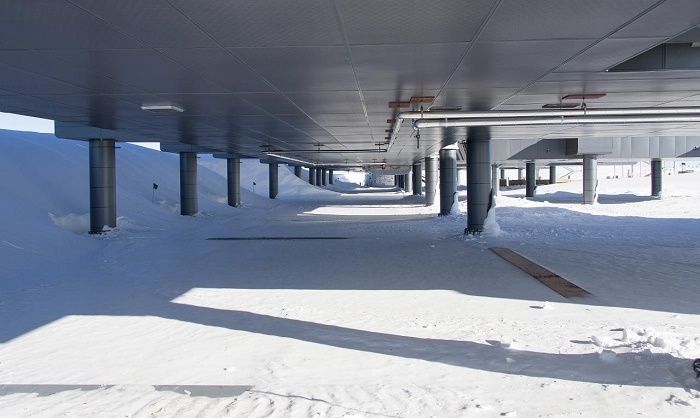 Unfortunately, due to the strong winds which were blowing snow which was accumulating at the structures, three years after its construction, it was already buried by almost 2 meters (6 feet) of snow. 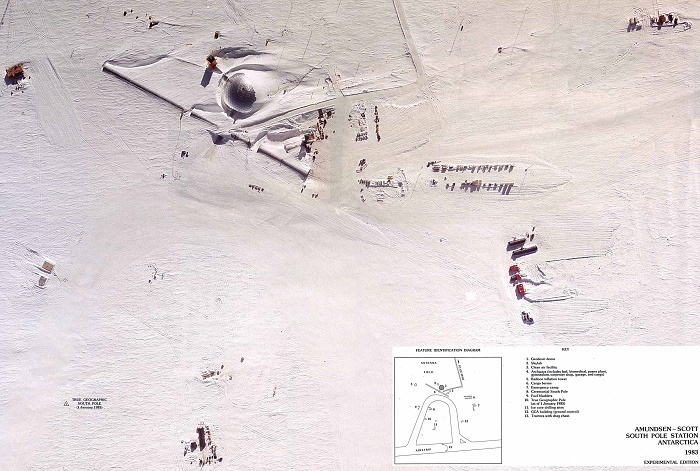 This was one of the reasons for the station to be demolished in 1975, and replaced with a better one, known as the Dome. 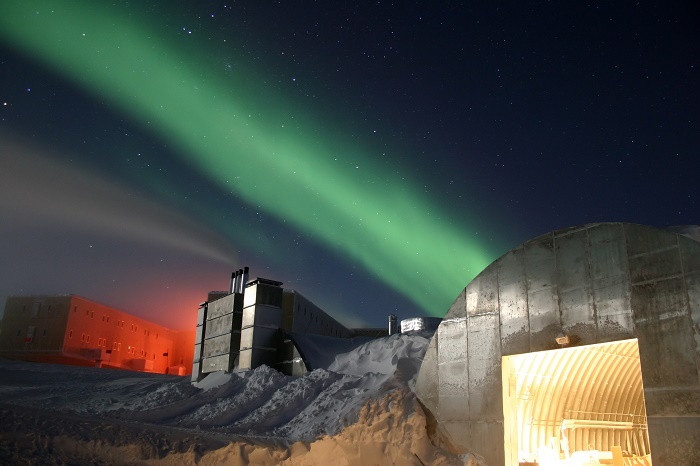 The Dome facility was designed to house 18 science and support personnel during the winter and 33 during the austral summer, however, over the years, the facility’s infrastructure and technology have exceeded its design and operational life. 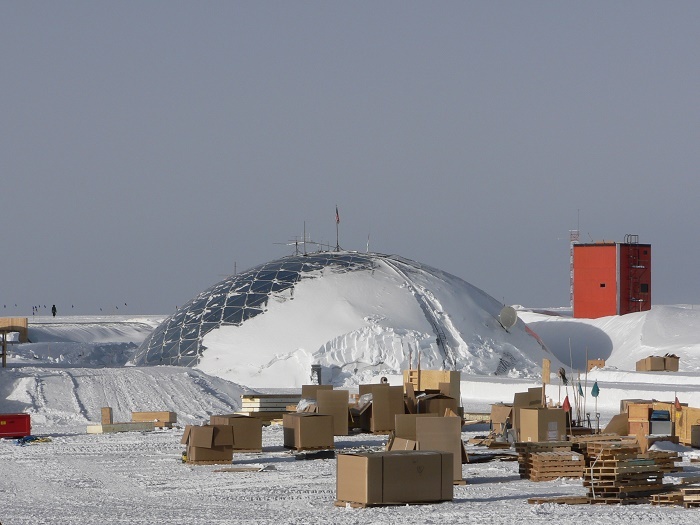 The Dome served as a station for the South Pole expeditions from 1975 until 2003, when it was discovered that during the winter of 1988, the foundation base ring beams were broken due to being over-stressed, which lead to dismantling the station in late 2009. 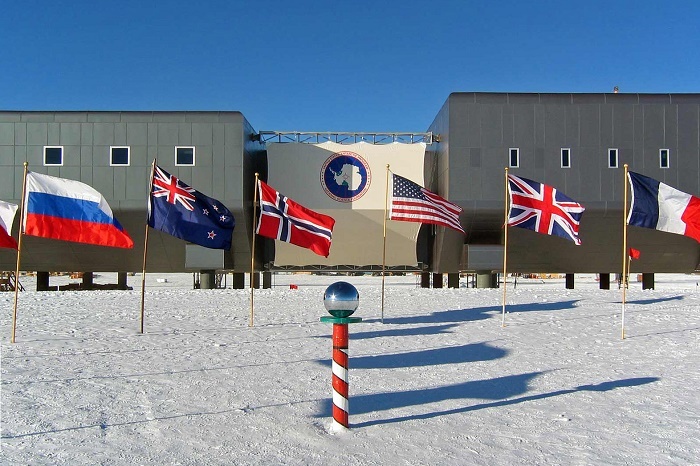 Since 2003, a new station which is adjacent to the Dome began hosting the scientists who were and still are living at the South Pole. This new, elevated station includes a modular design, to accommodate an increasing station population, and an adjustable elevation, in order to prevent the station from being buried in snow. 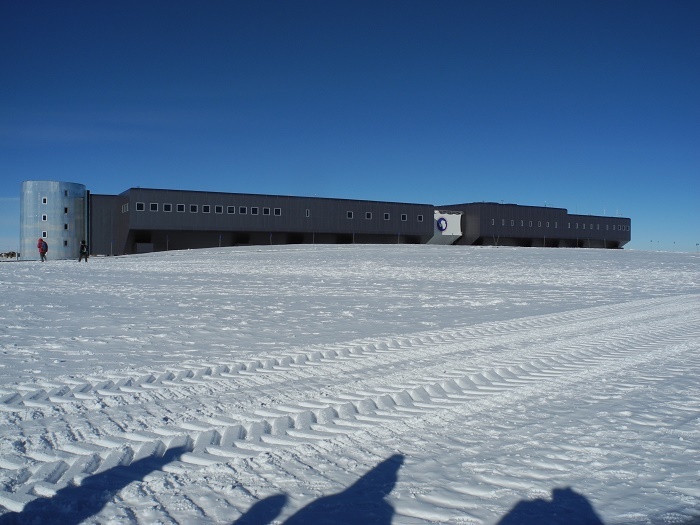 The elevated Amundsen–Scott South Pole Station, during the summer months has a population of about 150, where most of the personnel leave by the middle of February, and there is mostly support staff plus a few scientists, who keep the station functional through the six months of Antarctic night. 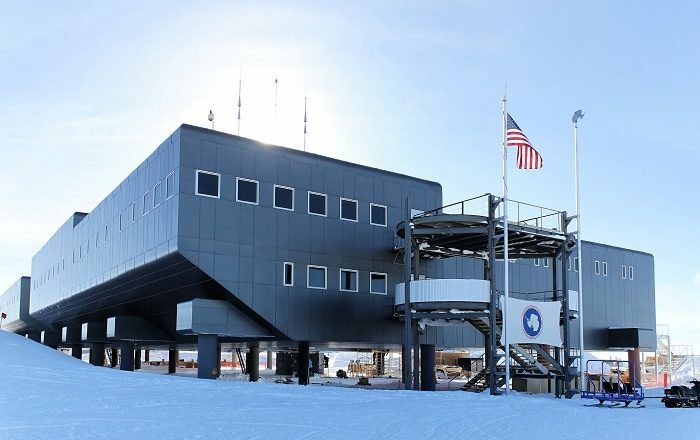 What the station is researching encompasses a number of sciences among which are glaciology, geophysics, meteorology, upper atmosphere physics, astronomy, astrophysics, and biomedical studies. 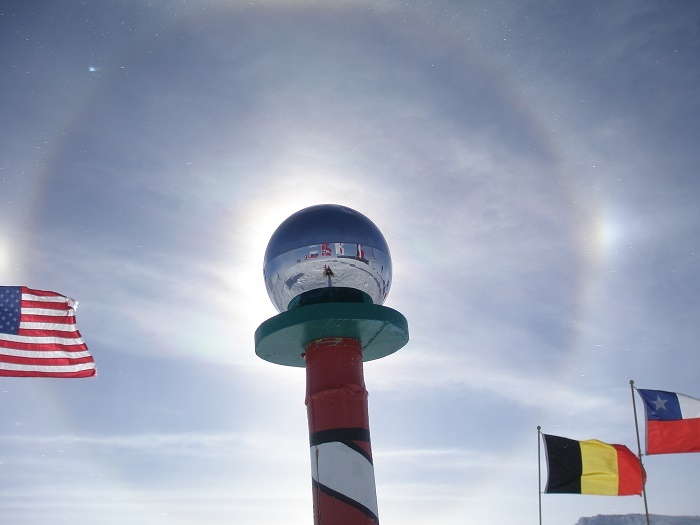 Still, getting there is really difficult as there are only certain countries which are sending scientists, nonetheless, there is only one sunrise and one sunset in the year and those who are able to see that are definitely mesmerized.